how long has it been? 2,3 or 4 months since I've last blogged? Wow! now that's what I call time flies, right? I have so many things I want to share with you, but I just can't find the time or the will (if you like) to sit down and write a few words. It's been a really rough summer round these (and more specifically mine) parts of the world. Bad things have happened, and the most important is my boyfriend's serious motorcycle accident. Happened on the National Quilt day (a few weeks after the accident we were joking (crazy) that he had been pieced again and stitched like a quilt! in honor of National quilt day!! ), but the good thing is that he managed to avoid a shoulder surgery, and now good things (hopefully--I'm a scorpio don't mind me) can only come our way!and now that Fall is here it really does feel like a fresh start! I feel like an enthusiastic first grader here! My mind is constantly on what to make next, orders keep coming in and I can't tell you how excited I am. Annnddd, after I think it's two years, I finally sat down to start piecing my Sweet dreams queen size quilt! Yes, it's finally coming together. Each row has 25 triangles, I'm still in row 5, and have a long way to go, but I can't tell you how happy I am, that I managed to start a project for us and our home!! 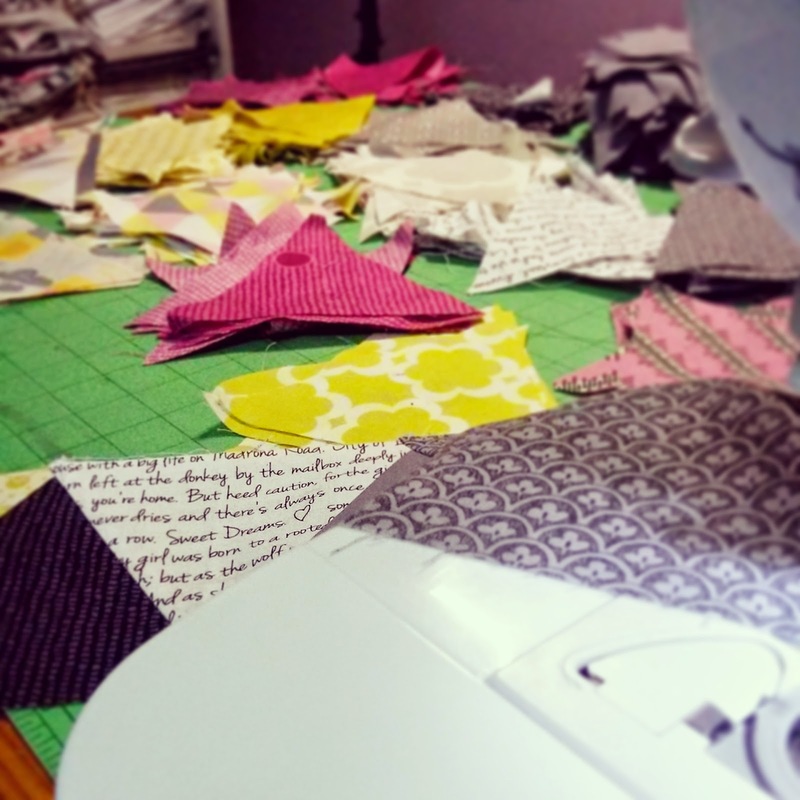 !I haven't even pieced two rows, and I'm already thinking of how I'm going to quilt it and manage all this weight! I'm thinking plain straight lines, but it's too early, but I would die for your opinion too! What do you think? How should I quilt it? On a whole different note, I'm sewing like crazy to start preparing the shop for the Holidays! It's the first time I'm thinking so seriously on what I'm going to make and planning ahead. 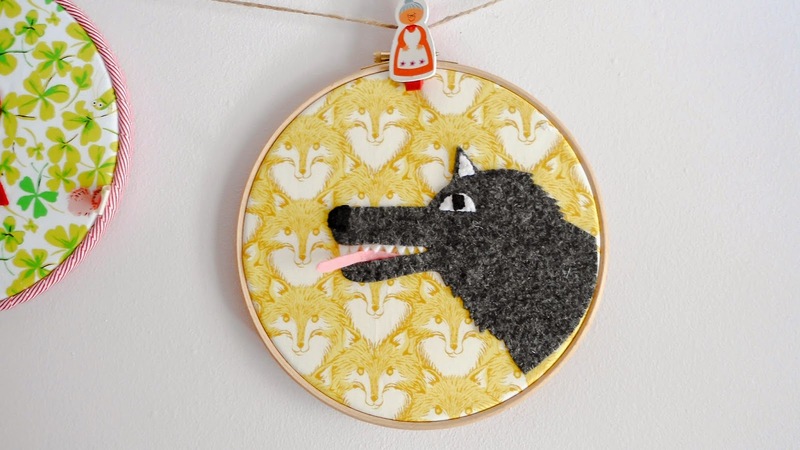 Fabrics and wool felt are coming in just in time, for new projects to be made. 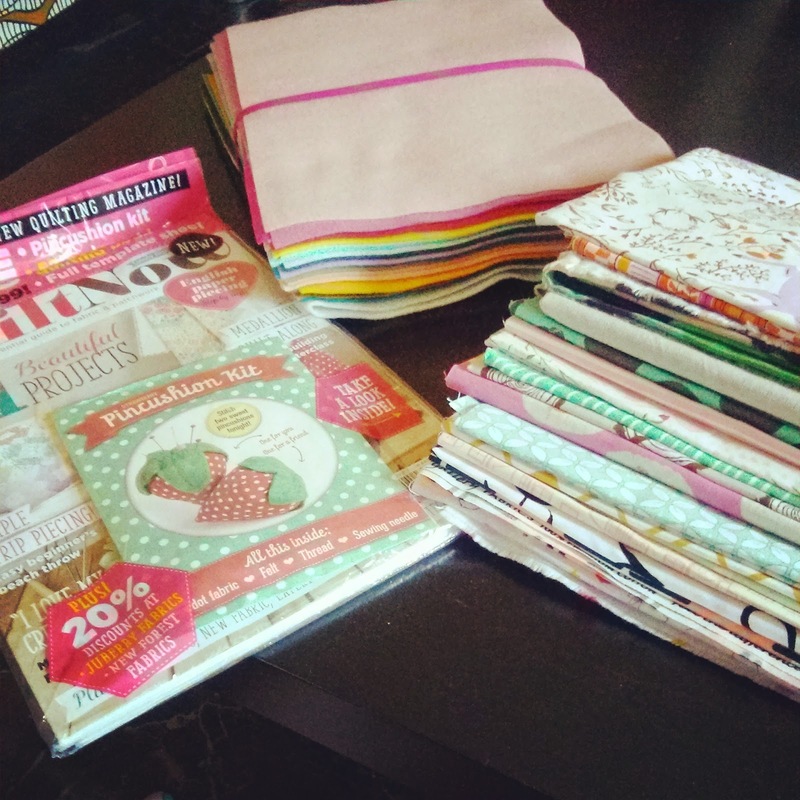 I've also treated myself with a little gift of love with the first issue of Quilt Now which is such a cute magazine filled with quilt projects to die for! 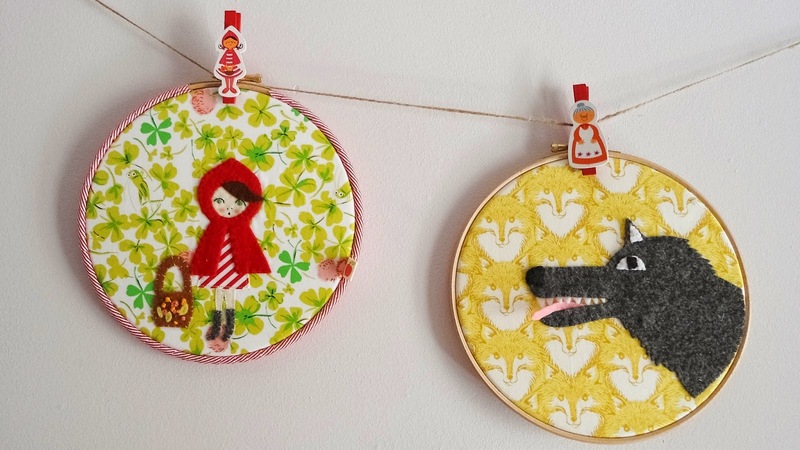 And speaking of new projects here's a lovely set of embroidery hoops I made, that are ready to be hang to a baby's nursery room (for a girl of course! I'm a sucker for little girls me). 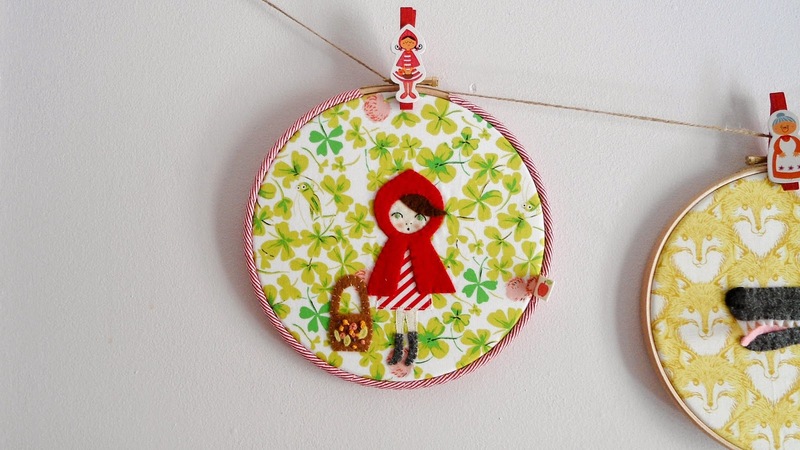 The theme of the hoops is from my favorite Fairy Tale LIttle Red Riding Hood! And its style is so whimsical and fun, I just love it! 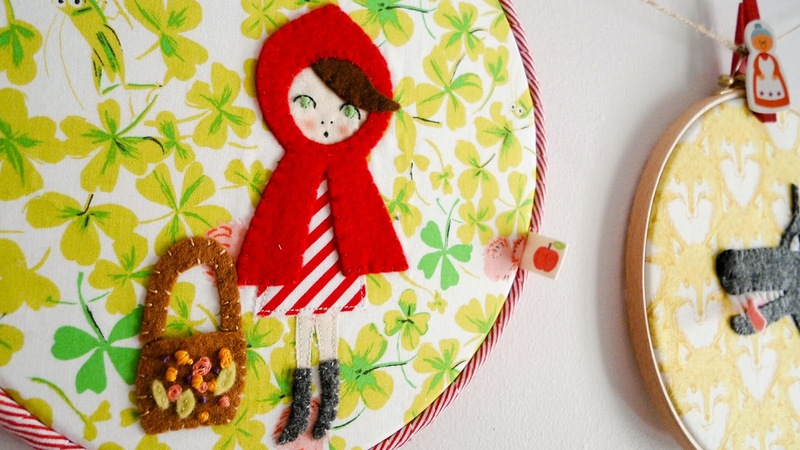 I've used my favorite fabric lines for the background of the hoops and some great quality wool felt for the characters. I think this set would make a great Christmas gift for a little girl, don't you think? So, how was your summer, what did you make! I'd love to catch up with you lovelies! It's been a really long time, and I feel like I've missed so many wonderful things and makes! Do share! 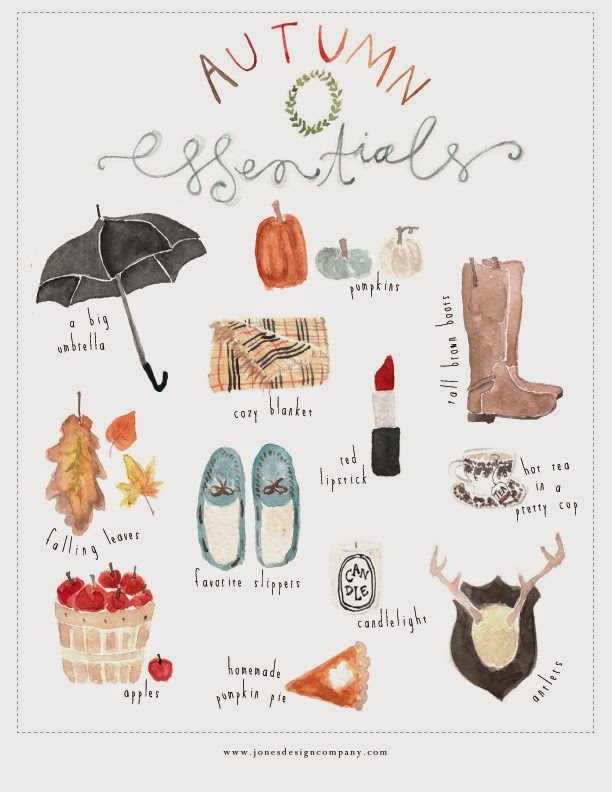 I'm wishing everyone a Happy week and a creative fresh start of Fall with some Autumn Essentials. You can download and frame this lovely Artwork print by Jones Design Company. Found it on pinterest and thought I should definitely share it with my lovelies.